US-based Holtec International on 2 August announced the successful completion of the largest defuelling project of a US boiling water reactor plant – Entergy Nuclear’s single-unit Vermont Yankee NPP –in record time. Entergy had signed a contract with Holtec to expeditiously defuel the Vermont Yankee used fuel pool. The overall project scope included construction of a second Independent Spent Fuel Storage Installation (ISFSI) pad, security expansion, engineering, licensing, manufacturing, delivery and loading of 45 HI-STORM cask systems, all on a turnkey basis. In just over 3.5 years from plant shut down, the used fuel pool was completely defuelled, setting a new benchmark in the industry, Holtec said. The last cask containing the 39 spent fuel assemblies was placed on the ISFSI pad on 1 August, well ahead of the project schedule. A total of 2996 assemblies were loaded into the dry storage canisters. The final ISFSI pad now contains a total of 58 HI-STORM systems of which 13 were loaded by VY while the plant was still operating and the remaining 45 casks were loaded after the plant closed. Holtec noted that use of its MPC-68M canister technology, featuring the Metamic-HTTM fuel basket, made possible NRC’s approval for loading into dry storage canisters, used fuel with just two years of cooling time. 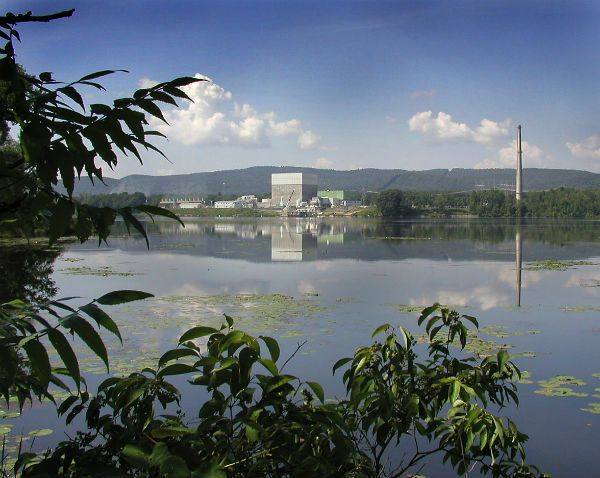 In November 2016, Entergy announced the sale of Vermont Yankee to NorthStar Group Services, which committed to start decontamination and dismantling work by 2021 and to complete decommissioning and site restoration - with the exception of the ISFSI - by 2030. This was 45 years sooner than under Entergy's original decommissioning schedule for the plant. NorthStar says these dates could potentially be brought forward to 2019 and 2026, respectively.